Guest post regarding legal protocol for claiming for compensation. You can’t turn on the TV or radio without seeing adverts claiming to help you with compensation following an accident or injury at work. Newspapers are constantly reporting cases of compensation won seemingly with ease. But what is the actual protocol for this type of compensation? Do you know your rights, and how the legal process actually works? It’s important to know how to claim should the worst happen, and to ensure you’re given the very best legal advice up for offer. An accident at work can come in many forms, from slipping or falling, to road accidents or injury using machinery. There are many standards set out by the government to try and ensure at least the minimum in health and safety is adhered to, and it is these laws that can help you in the event of an accident. The Workplace (Health, Safety and Welfare) Regulations sets out many of the standards that must be maintained by companies, including the size of rooms, temperature, lighting, cleanliness, seating, windows and drinking water, just to mention a tiny proportion of what is covered. There are also lots of other laws that protect you if you work in a slightly more at risk job. The starting point for making a claim is to always seek the advice of a professional lawyer who fully understands the law in regards to your situation. For UK based legal guidance on compensation for accidents at work click here. Last year 1.3 million people suffered an illness as a result of their work, and 233,000 reportable injuries occurred, with 152 of those injuries resulting in death. Knowing your rights in the work place is important should the worst happen, so to find out more visit the Health and Safety Executive for the stats. 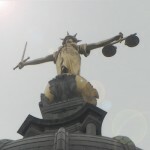 Previous post: Secret Courts: Ill Informed or Necessary?